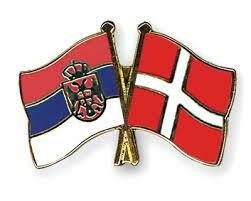 During the visit, representatives of the Ministry of Defence of the Kingdom of Denmark, in the period from 18 to 22 November 2013th, signed a Protocol on the donation between the Ministry of Defence of the Republic of Serbia and the Ministry of Defence of the Kingdom of Denmark. Protocol refers to the first phase of the project ''IT technical support to the work of psychologists and the establishment of test centers'' - ''Improvement of the Department for the development of psychological activities'' which involves furnishing the Department for the development of psychological activities with computer equipment and office furniture, and whose the total value of up to 22,000 euros. The Protocol was signed on 21 November 2013th in Belgrade. Preparation of the project has committed the Department for the development psychological activities of the Department of Human activities in collaboration with the Directorate for Project Management. The protocol was signed between the representative of the Ministry of Defence of the Kingdom of Denmark, a retired colonel Kurt Refsgard and a representative of the Ministry of Defence of the Republic of Serbia, Head of the Department for the development psychological activities of Human Resources, Ms. Nada Markovic.